We’ve got a really exciting partnership we want to tell you about today! We’re always looking at ways of adding value to Run An Empire by letting communities and organisations compete against each other within the game. This month, as we launch in the UK, we’re working with over 100 teams from businesses around London to help them train for The Bloomberg Square Mile Relay. It’s the ultimate urban relay – each team has 10 runners, all of whom will run a unique one-mile course through the heart of the City in a bid to clock the fastest time. We’re tracking every training run from competitors via Run An Empire and creating a league table showing which team and individual owns the most hexes and who has covered the greatest distance. If you’re registered for the race and want to join the challenge, all you need to do is sign up here and play Run An Empire whilst you’re training between 22 August and 22 September. You’ll be able to track your progress against the other teams from the website – and the winning players and teams will be rewarded on race day! 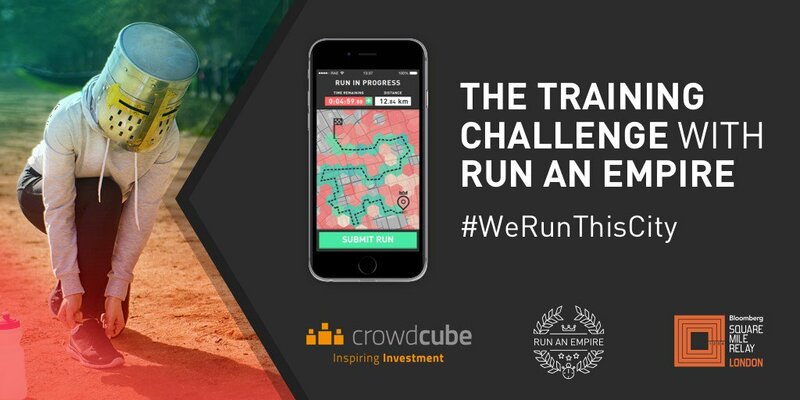 On behalf of the entire team here at Run An Empire, we’d like to thank Bloomberg Square Mile Relay and Crowdcube for their support – and to wish the best of luck to all the contestants!